Playing Spiral Knights for charity! The Spiral Lights is a two day charity event hosted by the Arsenal Podcast in support of Charity: Water! This is a community-based event, and we need your help to make it a success! IMPORTANT! When you donate, include the following in the “Comment” section of the donation window! • The name of your knight! • A description of your knight (costume, personal color, accessories/auras/etc.) to be added to the commemorative graphic being designed for this event. • If you donated over $15 (US Dollars), your preference of Monster Pocket. • Note that whatever you write will appear along with the name you give (unless you mark yourself anonymous) at the bottom of the campaign page! WARNING! If you do not provide at least the name of your knight, you void your entry into the Shopping List and Coliseum Rumble games and the raffles, as we have no way of contacting you! What’s happening during this event? The Spiral Lights consists of four major live events over the course of the two days, followed by a week in which donations can still be made. All times listed are in Eastern Standard Time (GMT-4). 2 PM: Clockworks CopyKat – Multiple knights run the same levels with different gear to see how their play styles and gear choices vary the run. 4 PM: Spiral Knights Shopping List – A “competitive” game in which teams complete objectives to earn points, but for every death, penalties of varying severity are inflicted on each team to hinder them. Current participating knights: Latisan-Sklay, Meroka, Glacies, Tovvok, you (as a random donator up to this point)! 2 PM: Coliseum Rumble – 6 versus 6 teams battle in Blast Network and Lockdown. We have some large names in the SK world coming, so check them out and see how you can get involved! 4 PM: Spiral Knights Shopping List – A “competitive” game in which teams complete objectives to earn points, but for every death, penalties of varying severity are inflicted on that team to hinder them. Current participating knights: Latisan-Sklay, Lord-Hood, Meroka, Glacies, Tovvok, you (as a random donator up to this point)! 11:59 PM: Eligibility to enter raffles ends. 2 PM: The Arsenal Podcast – The weekly talk radio show about Spiral Knights will record live HERE, and the donator raffles will be awarded at that time. The Spiral Lights event ends after this time. The event will be streamed live at http://twitch.tv/spirallights, starting at 2PM EST (GMT-4) on Friday and Saturday, June 6-7, 2014. Come watch the fun, interact with the streamers and other viewers, and support the event! Don’t worry! While the live events will take place on the weekend of June 6-7, the event will continue for the following week, as video highlights and recaps of the event are released on Youtube. To keep on top of things, subscribe to the Arsenal Podcast Youtube channel, where all the videos will be going up. Over the week following June 7, donations can still be made, and you will still be eligible to win the prizes offered to donators. Prize eligibility will end on Saturday, June 14, 2014, at 11:59PM EST (GMT-4). • Tell some friends about us by referring them to this page! • Post it on your social medias of choice! • Shout it out in your guild chat! • Rant about it in random Havens (but don’t be annoying)! • Ask your GM to put the link to this page in the guild Message of the Day! • Commemorative graphic: When you donate, add a description (costume, personal color, accessories/auras/etc.) of your knight in the “Comment” section of the donation window. Everyone who does so will be added to this graphic being designed in SpiralSpy by Serjinxable. The graphic will be available to view and download after the event. • Raffles: By donating certain amounts, you will be entered into raffles to win Prime Bombhead Masks, Heart Crests, and even Monster Pockets! If you donate $15 (US Dollars) or more, add your preferred Monster Pocket in the “Comment” section of the donation window. • Play Spiral Knights Shopping List with us: When it’s time for the Spiral Knights Shopping List, random donators will be selected to play with us! We’ll message you in-game and also call you out on the stream, so be sure you’re around! If we don’t hear from you in a bit, we’ll have to choose someone else. • Play Coliseum Rumble with us: When it’s time for the Coliseum Rumble, the patrons with the largest donations will be selected to play with us! We’ll message you in-game and also call you out on the stream, so be sure you’re around! If we don’t hear from you in a bit, we’ll have to choose someone else. NOTE: We are using guild teams to make sure we all get in games together, so you will have to be willing to switch guilds temporarily. • When we run Clockworks CopyKat, do the same run we’re doing and let us know how it turns out for you when you donate in the “Comment” section of the donation window, or in the live stream chat. • When we run Spiral Knights Shopping List, get some friends and compete against us! Let us know if you outrace us or not. You can go to our donation page on Charity: Water by clicking the link: http://my.charitywater.org/spirallights. Click on the Donate button to get started. When you donate, include the following in the “Comment” section of the donation window! • If you donated $15 (US Dollars) or more, your preference of Monster Pocket. • Get your name read out on the live stream (we’ll read the in-game name you provide, not your real name). • If you provide a description of your knight, (s)he will be added to a commemorative graphic being designed in SpiralSpy by Serjinxable and published after the event for download. • Get a good feeling of helping out people in need. • Become eligible to be randomly chosen for Friday and Saturday’s Shopping List games (See “How can I get involved?” for more details). • Get entered into the raffle for a Prime Bombhead Mask. 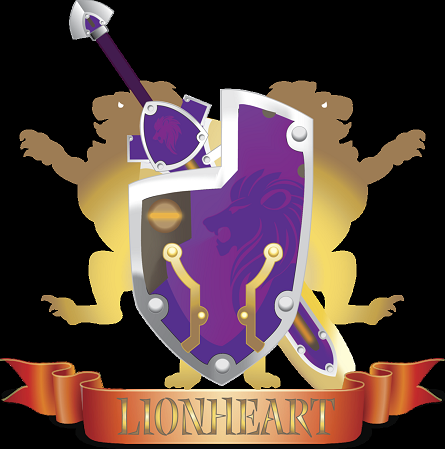 • Get entered into the raffle for Heart Crests. • Get entered into the raffle for Monster Pockets.